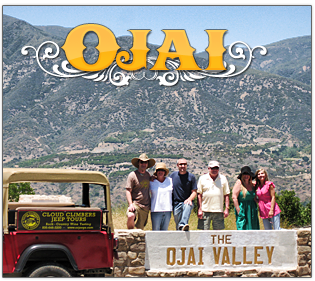 Adventure Ojai! Cloud Climbers article in Fall Ojai Visitors Guide. Ojai. The Next Outdoor Playground. Jeep tour business grows in region's wine hotspots. 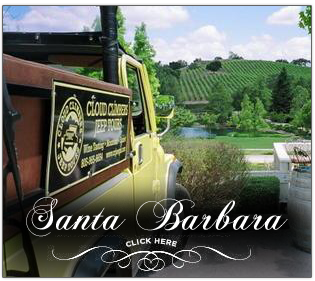 Climb aboard our comfortable, safe, 6 & 7 passenger Jeep "Wranglers" and classic "CJ-8 Scramblers" for an adventure through the back-country trails of Santa Barbara. 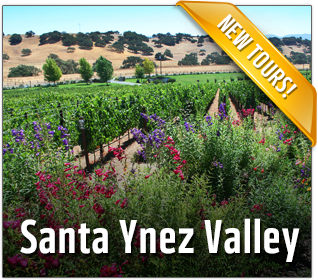 Your choice of Mountain, Wine Country or Sunset tours, all offer a unique alternative to experiencing the amazing history and breath-taking scenery of the area, by leaving the driving to us! Trail options may include twisting along portions of the Old Stage Coach Road and winding through the valley of the majestic wine country for wine tasting; capturing a romantic sunset from the area's highest peaks; or an invigorating hike through sandstone boulders, revealing ancient Chumash paintings and interesting flora and fauna.